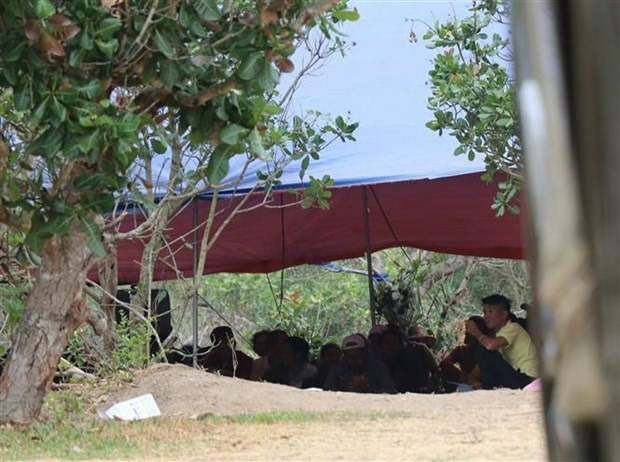 GIA LAI — More than 130 people were arrested early Sunday morning when police raided a suspected gambling den in Village 76 in Hà Bầu Commune, in the Central Highlands province of Gia Lai. Police officers also seized more than 60 cars. Most came from Gia Lai, Đắk Lắk and Bình Định provinces. The suspects used canvas to cover an area of about 100sq.m at the foot of a mountain, under which they operated the illegal gambling event. The total amount of money involved is currently being investigated. It is the biggest case of its kind so far in the province.